(SOURCE) Iran announced that it is producing large amounts of yellowcake, a precursor to enriched uranium, and has shipped two batches of the material to a uranium conversion facility. Ali Akbar Salehi, head of the Atomic Energy Organization of Iran, said the Islamic Republic was ready to increase its production of yellowcake to 300 tons per year over the next five to six years, and had shipped 30 tons on yellowcake from the Shahid Rezaeinzhad Industrial Complex in the central province of Yazd to a conversion facility in Isfahan province, according to Iranian media reports on Wednesday. Salehi delivered the message to Iran’s Channel 2 news from the production complex. He said they were planning on building additional plants similar to the Shahid Rezaeinzhad Industrial Complex in the same province. 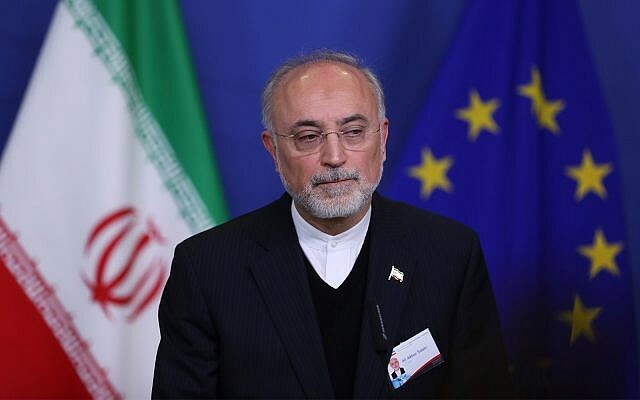 Last month, Salehi said that Iran had deceived nuclear inspectors by quietly purchasing replacement parts for its Arak nuclear reactor while it was conducting negotiations for an international agreement under which it knew it would be required to destroy the original components. Salehi insisted that such subterfuge did not indicate that Iran was or is seeking nuclear weapons, as the Trump administration and Israel insist. Iran’s plan was to modernize the Arak reactor, which was based on an old Russian design, and use the new facility to produce reduced quantities of plutonium that would be used for nuclear fuel, but not weapons, he said. US President Donald Trump pulled out of the nuclear deal in May last year but the other signatories, Britain, France, Germany, Russia, China and Iran have all agreed to try to keep the pact alive on their own. Trump insists the original agreement did not go far enough in curbing Iran’s nuclear weapons ambitions and wants to renegotiate the JCPOA with stricter terms. 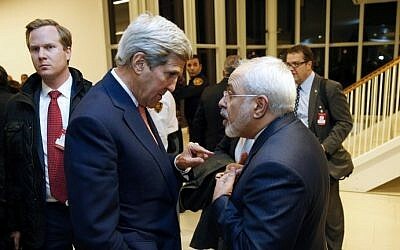 In the meantime Washington has imposed heavy sanctions on Iran that could weaken the ability of the remaining parties to maintain the deal. Last week Salehi said Iran has begun “preliminary activities for designing” a modern process for 20-percent uranium enrichment. Restarting enrichment at that level would mean Iran had withdrawn from the 2015 nuclear deal. This entry was posted in Country, Disaster / Emergency, Government, Iran, Islam, Middle East, Violence - Evil, World and tagged Iran increasing uranium production by Gordon King. Bookmark the permalink. As you know Obama did wanted to give billion of dollars to Iran. It was too bad US government didn’t arrested him because Obama was a treason. Obama administration was the most corrupt in the US history. Since after he left the office, the Democrats are making it everything worse and CRAZY!!!!! My personal opinion I believe Obama wanted to help Iran because he hates the Israel. Did you hear Roger Stone were arrested few days ago? It was too bad Hillary Clinton, Obama, Jim Comey, among other bad guys were still free. Wow!!!!! Everything in this world is crazy! Nothing makes sense anymore, the good is turned into bad and the bad into good. I can hardly wait for Jesus Christ to come take us home! It’s really simple. Drop MOAB on their largest, most powerful military assets while carrying out an all-out air strike against their air and naval assets. When their military lays in ruins, we simply walk away and let the message stand for all to see. To tell you the truth I really can’t believe that it hasn’t been done already! I don’t know for sure what is holding anyone back from doing it, perhaps it is part of God’s plan. We know that Iran is a key player in the Ezekiel 38 War, and perhaps that is why He is allowing them to build up their arms. If they were wiped out now militarily then they wouldn’t have much of a role to play. This leads me to believe that the Gog/Magog War is not too far away, I just can’t see this playing out the way that it is too much longer. Something has to give soon, the pressure is building up way past a boiling point.